I've been programming since childhood, starting with exciting choose-your-own-adventure games in Windows 3.1 Cardfile. After that, I made numerous small games and experiments with dialects of Basic (QuickBasic, VisualBasic, CoolBasic and FreeBasic). Many of those early games are forever lost, but I've tried to collect here the ones I could find for future me to take a nostalgic look at. 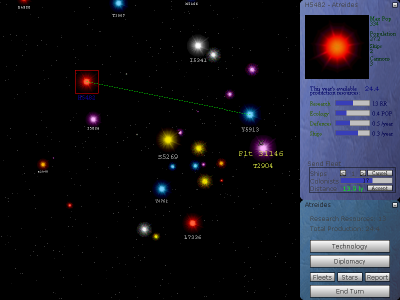 88mm is perhaps the first game I made public in the internet. 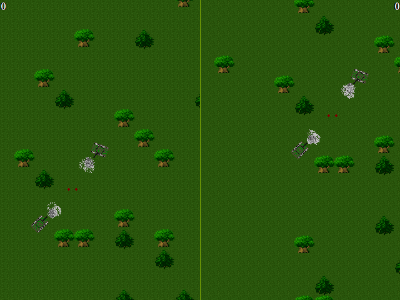 It's a really simple two player split screen tank game. It also received an improved "Revisited" version which featured e.g. AI and more effects. It formed a basis for a similar jet fighter game called SkyHigh, which in turn was the inspiration for my more recent Jet Pursuit. I was interested in 3d math and this little game was born out of my software 3d wireframe rendering experiments. 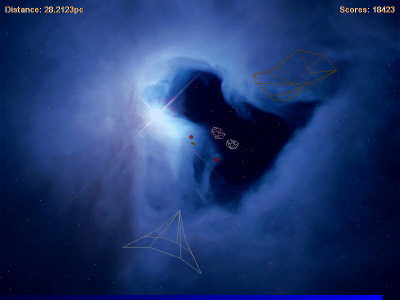 It's a space shooter, where you shoot and avoid asteroids, mines and enemy ships that come at you. It had about 10 levels and 3 ships that could be unlocked with credits obtained from shooting things and completing stages. 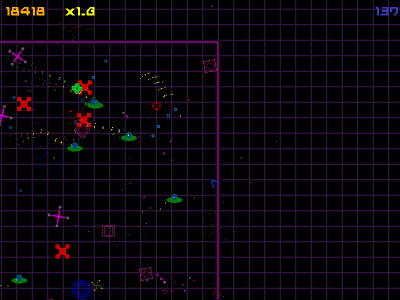 Top-down mouse-controlled space shoot-out on a small arena. Fun little game where you shoot a lot of progressively harder enemies while receiving weapon upgrades. Also featured wormholes which try to pull everything inside. It's also somewhat moddable as all enemy and weapon parameters are stored in simple human-editable text files instead of hard-coding stuff into the exe. A procedural RPG with early Ultima style 3-color graphics. It was never completed, but it did have a lot of the elements in place: free-form NPC discussion, working shops, simple combat system and a world generator featuring overworld as well as several kinds of dungeons and towns. Since then, I have used the generator algorithms in a few of my later projects. For a long time, I had a goal to create a 4X space empire game. 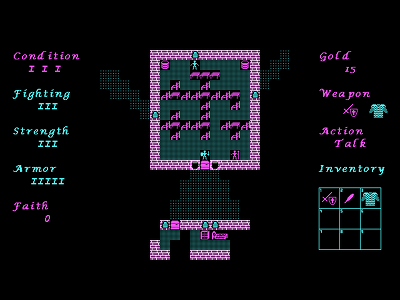 The first version with QBasic was incomplete having a cute GUI, but not much in terms of gameplay. The second incarnation was made with Visual Basic and, if I remember correctly, was playable though lacked diplomacy and technology tree. The third installment, pictured above, was mostly complete though abandoned with a version number of "beta3". As a strange feature, the galaxy map is 3d and needs to be rotated to access some parts.